We just passed "tax" day, but if you're a college-bound senior - or the parent of one - "D" day looms on May 1st. That's when students "decide" which school they'll attend, sending an official acceptance letter - with a "deposit" to hold space for the fall and reserve housing. Despite media hype, many students gain admission to their school of choice. College has also become the "default" choice for young women; according to a recent survey of roughly 60,000 households by the Bureau of Labor Statistics, 72.7 percent of 2014 female high school graduates enrolled in college versus 64 percent of young men. But what if you still have doubts? Choosing the "wrong" school carries risks. Students happy with their choice today could see things differently in six months, because the reality of college life may prove a far cry from the marketing hype. It could be tough to make friends, or after a year you learn how rough it really is to get into the major or program that brought you there in the first place. And with college costs running over annually $42,000 for private 4-year schools and nearly $19,000 for in-state tuition, those choices come at a high price. Dropping out, starting over at a new school, or losing credits in a transfer compounds the hit. The good news is that whether you attend a public or private school, attending--and most importantly -- graduating from college remains a smart choice. 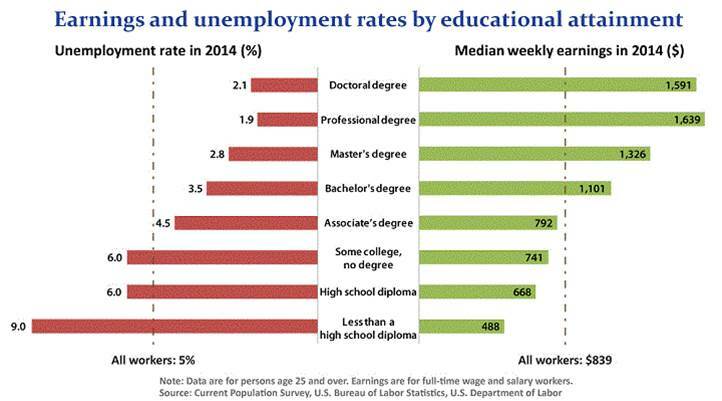 Overall, college graduates earn considerably more than those with a high school diploma, and have much lower rates of unemployment throughout the economic cycle. 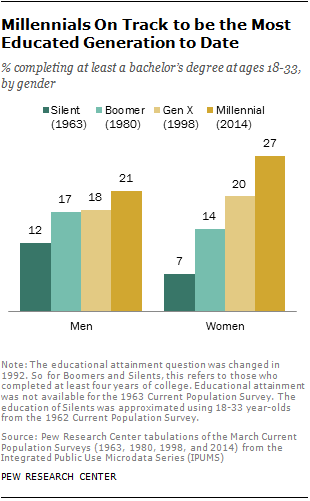 And according to a recent study by the Pew Research Center, Millennials could become the most highly educated generation to date - with twice as many female college graduates compared with their grandmothers (known as the "silent" generation). So let's break down the decision into four parts - the school, the package, and you -- with extras for those still seeking options. Choice of School: If you have a "short list" of colleges that have accepted you, ask what attracted you to each one? Was it a "safe" school, a "party" school, or close to (far from) home? What percentage of freshmen drop out and how many finish in 4 years or even 6? What are the housing options and alternatives if they don't work? How secure is the campus for students in general and women in particular? Does the school help students find internships, outside programs and jobs? Let's talk money. Forget the headline cost of tuition - look at the aid package offered to you - also called the "net price". The Consumer Financial Protection Bureau (CFPB) has standard "shopping sheet" that breaks down costs clearly and explains basic terms - nearly 3,000 colleges and universities have adopted it since 2012. They also have an online comparison tool that helps families evaluate a few schools at once. And the outcome might surprise you. For public schools, the CUNY (City Universities of New York) system has some of the lowest "net prices" in the New York metro area and the country; at the other end of the scale, Stanford University recently announced that students from families earning below $125,000 generally won't pay tuition at all (this doesn't include room and board). What about you? Do you believe you'll get into the program or major you want? Are you an artist looking at colleges majoring in Big 10 sports and Greek life? Does the campus have people who look like you and are there activities that reflect your culture? Will you be OK with the weather and does the surrounding area interest you? And how will this school or university help you graduate in a timely manner if you change majors? If you're still happy with your original choice - congratulations! Now you can focus on finishing your senior year with solid grades and start the roommate selection process. Other options: Still dissatisfied? Get ready to act immediately after "D" day. The National Association for College Admission Counseling (NACAC) releases a Space Available list right after May 1st and updates it regularly through mid-June. This list will mention whether a school has seats available for incoming freshmen, and whether financial aid and housing is still available. You must act quickly and know you're starting from scratch; schools will likely make a decision within six weeks. But buyer beware - during this period colleges may focus on students who fill specific holes in their roster - students who apply for a less popular major, or accept diehard future engineers or business students to fill spots in those departments. They may also accept students who require less financial need or those willing to attend but not in their first choice of major. If you truly want to attend a specific school, speak up and let the admissions office know you really want one of those slots. 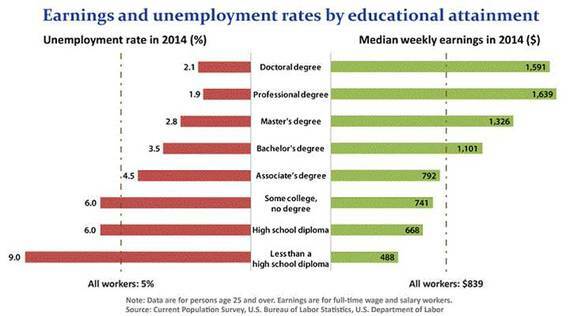 If none of the above works, community college might be the best bet while you improve skills, get focused, or go for a two-year Associates degree. If you plan to apply to another college afterward, explore whether those credits are transferable generally, or only to in-state schools. Failure to do this research can be as costly as choosing the wrong four-year school. Yes, even for those on the cusp of adulthood and ready for freedom, that annoying question still rings true: have you done your homework? The choice is yours.